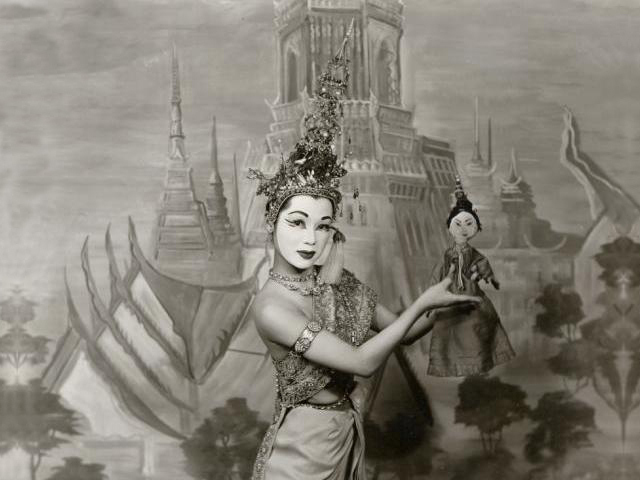 Michiko Iseri in the 1951 production of The King and I at the St. James Theatre. Photo by Vandamm Studio, courtesy New York Public Library Digital Collections. 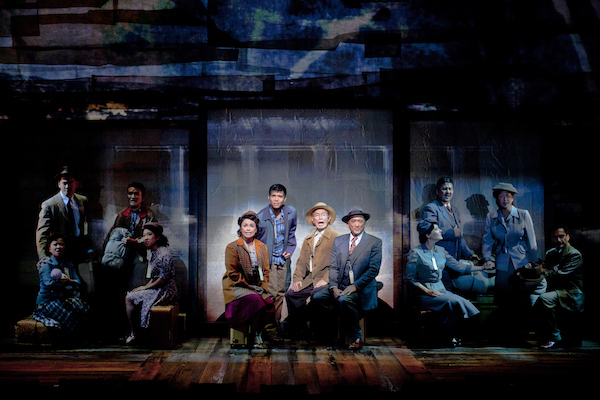 On October 6, George Takei’s new musical Allegiance opened in previews on Broadway. Set during World War II, Allegiance tells the story of the young Sammy Kimura, one of 120,000 people of Japanese ancestry wrongly relocated and incarcerated by the United States starting in 1942. Sammy (played by Telly Leung) leaves Heart Mountain—the confinement site in the deserts of northwestern Wyoming where he and his family were sent—to fight for the country that imprisoned him, while his sister allies herself with the conscientious draft resistance movement at Heart Mountain. Around the same time the fictional Sammy would have left to fight with the 442nd Regimental Combat Team, a 21-year-old Japanese American woman named Michiko Iseri also left Heart Mountain. Her destination? New York—and Broadway. Michiko, as she is known in the dance world, is perhaps best known for her role as a dance consultant for the Broadway production and movie adaptation of The King and I—a musical whose orientalist representation of Asians makes the arrival of Allegiance all the more significant. Michiko helped pave the way for Asian American dancers and performers on Broadway, but most today do not even know her name. From Allegiance at The Old Globe. Photo by Henry DiRocco. When Michiko left Heart Mountain in October 1944, she moved in with Teiko Ono, a half-Japanese American dancer who sponsored Michiko so she could come to New York. 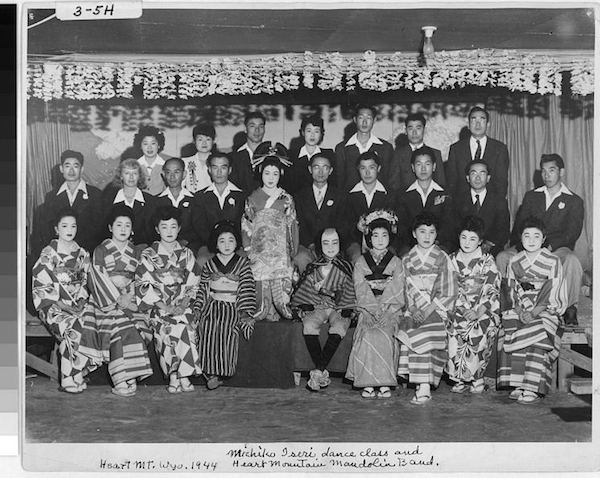 Michiko had studied Japanese dance and kabuki from early childhood, and just before World War II had joined Ono’s pan-Asian dance company on the West Coast. With Ono, she learned Chinese, Korean, Javanese, Balinese, Burmese, and Thai dancing, in addition to Japanese dancing. Michiko Iseri’s dance class with the Heart Mountain Mandolin Band at Heart Mountain in Wyoming, 1944. Photo courtesy UCLA, Library Special Collections, Charles E. Young Research Library. Coming to New York gave Michiko the opportunity to relaunch her fledgling dance career that had been abruptly put on pause during the war. Michiko began helping Ono teach her students, one of whom was Russell Meriwether Hughes, a dancer from Kentucky who went by “La Meri” and made a name for herself in ethnic dance, particularly Spanish and Indian. Michiko also performed across the city. She danced at the Museum of Natural History’s ethnic dance programs with others, including Pearl Primus. She also performed with Devi Dja, an Indonesian dancer, and was a guest artist at Jacob’s Pillow, a dance center, school, and performance space in Massachusetts. In 1946, she worked with Ono’s husband, Yuji Ito, on the costumes for the musical Lute Song, based on Gao Ming’s play Tale of the Pipa. The play tells the story of Tsai-Yong, a young scholar who leaves his family and first wife to poverty and famine in order to pursue his career. It was on the set of Lute Song that Michiko first met Yul Brynner, who played the part of Tsai-Yong. By 1948, Michiko had built a career teaching Japanese dance in New York. 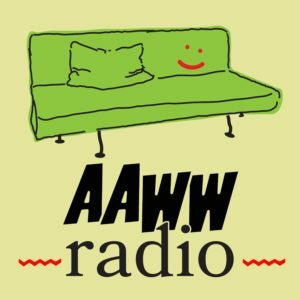 Right around that time word was going around the dance world about a new musical based on the story of Anna Leonowens, governess to the children of King Mongkut of Siam from 1862-1867. The King and I fictionalized Leonowens’s years spent teaching the King’s children and his wives about Western culture. She becomes close with the King and his family, even as she and the King disagree on almost everything. But when the cast was developed, it was minimally Asian. Brynner enjoyed claiming that he was born “Taidje Khan” and that his parentage was half-Japanese, half Swiss. In fact, he was a quarter Buryat: his paternal grandmother was said to be the daughter of a Mongolian prince, with ancestry going back to Genghis Khan. Doretta Morrow, who played Tuptim, was of Italian heritage. Larry Douglas played Lun Tha. Prince Chulalongkorn was played by Johnny Stewart and later by Ronnie Lee. Michiko had reservations about this new musical. She felt certain the show would not be authentic, and she felt strongly that it should be. Michiko had no intention of auditioning for the show, but many of her students did. During their auditions, Jerome Robbins, the choreographer, asked them with whom they had studied. One by one, they mentioned Michiko. And so Robbins asked to meet her. “So I went to see him,” she says. Robbins hired Michiko as an oriental dance consultant. She trained the dancers and tried to get them to stop “jumping around”—something ballet dancers were prone to but which was not at all characteristic of Thai dance. Robbins told her how he envisioned the dancers’ movements and she would find ways to express that using techniques from Thai repertoire. Sometimes, though, those movements just weren’t suited for what he had in mind. 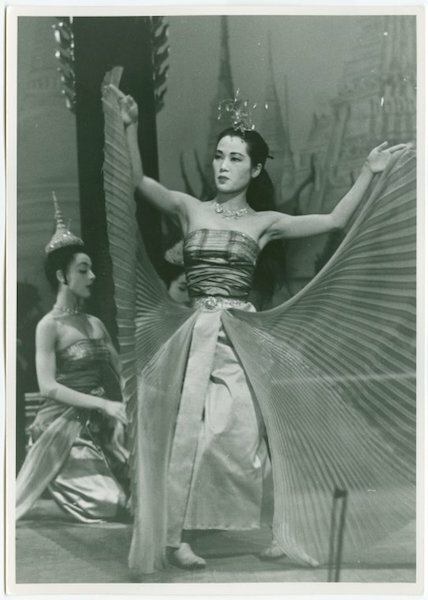 Michiko Iseri as a royal dancer/angel in a 1951 production of The King and I. Photo by Fred Fehl, courtesy NYPL Digital Collections. Thai dance, she explained, is performed in a temple and in the royal palace. Javanese dancing, with veils, scarves, and bare shoulders, would be better. 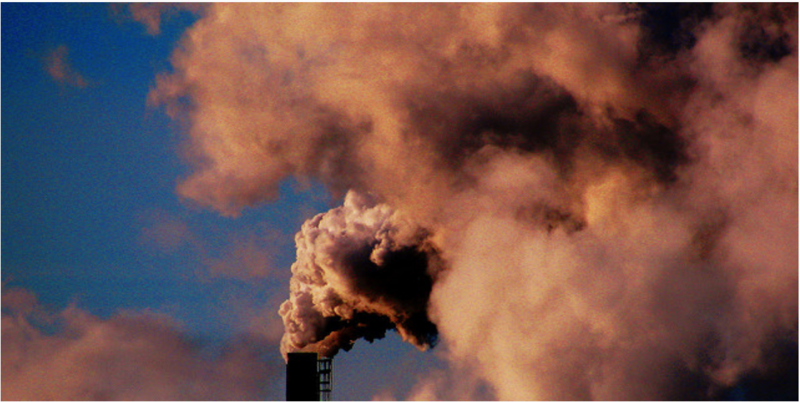 “Fine, we’ll do that,” Robbins replied. Robbins was not the only person who felt constricted by Thai culture. “Just call it ‘Anna and the King of Asia’!” burst out composer Richard Rodgers to Michiko at one point. The piece he was referring to was “Getting to Know You,” sung by Anna to the children in Act 1. Michiko was impressed with how quickly Rodgers had composed the piece—until she discovered that he had originally written the song for South Pacific. Still, Michiko had her dance, as promised. “There’s nothing spectacular about Siamese dancing,” she reminded him. When he insisted, she said she could use a fan number—a dance form from Japan. The dance took place in the schoolroom, so Rodgers wanted it to be playful. “What would these Siamese children look at?” Michiko wondered. She remembered Anna’s hoop skirt—a source of fascination for the women in the Thai palace. “What if we use the skirt and have the children act like the skirt and I will move around?” she asked. “Getting to Know You” from the 1956 film version of The King and I. Ultimately, Michiko followed The King and I on its national tour, and to Hollywood for the film adaptation. Afterward, she used the money she had saved to travel to Asia to study dance. In 1956, she spent six months in Japan, where she saw an old dance teacher. Next, she went to Hong Kong, where she was supposed to get a visa to go to Vietnam and Laos. With the Vietnam War underway, however, that was not feasible, so instead she went to Thailand. One morning soon after she arrived in Bangkok, Michiko was in the hotel lobby, her eyes swollen from mosquito bites, when a man entered. She could barely see him pacing back and forth. Then she noticed the manager of the hotel was on his knees. Prince Bhanubandhu Yugala, a cousin of the king of Thailand, had come to see her. But he liked her dancing, so the prince got in touch with the best dance teachers in Thailand, launching Michiko’s schedule into more rigorous day-long sessions. One of her teachers had been a renowned Thai temple dancer. (Thai temple dancers quit when they start menstruating, so she had become a teacher.) She taught Michiko the classical mask dance—one rarely taught to anyone outside of Thailand, so Michiko’s other Thai dance teachers came to watch her lessons. 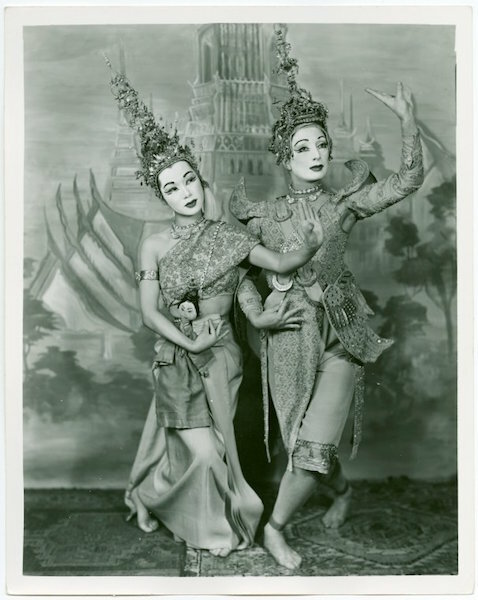 Michiko and Muriel Bentley in The King and I, 1951. Photo by Vandamm Studio, courtesy NYPL Digital Collections. New York has changed a lot in the seventy years since Michiko first arrived, and so has Broadway. Allegiance will make its official debut at the Longacre Theatre on November 8, just eight months after The King and I returned to the Vivian Beaumont Theater for its fourth Broadway revival. It has the first Asian-led cast on Broadway since a revival of Flower Drum Song in 2003, which also starred Lea Salonga. It seems fitting that this new musical should take place at Heart Mountain—the place where Michiko lost her freedom and the place that led her to New York. Seventy years later, Allegiance will place her story—and the stories of 120,000 Japanese Americans—front and center. “It’s about time,” Michiko says. Hana C. Maruyama is the granddaughter of a former Heart Mountain incarceree. She worked for the Heart Mountain Interpretive Center for two years before becoming the Multimedia Producer for the Smithsonian Asian Pacific American Center. 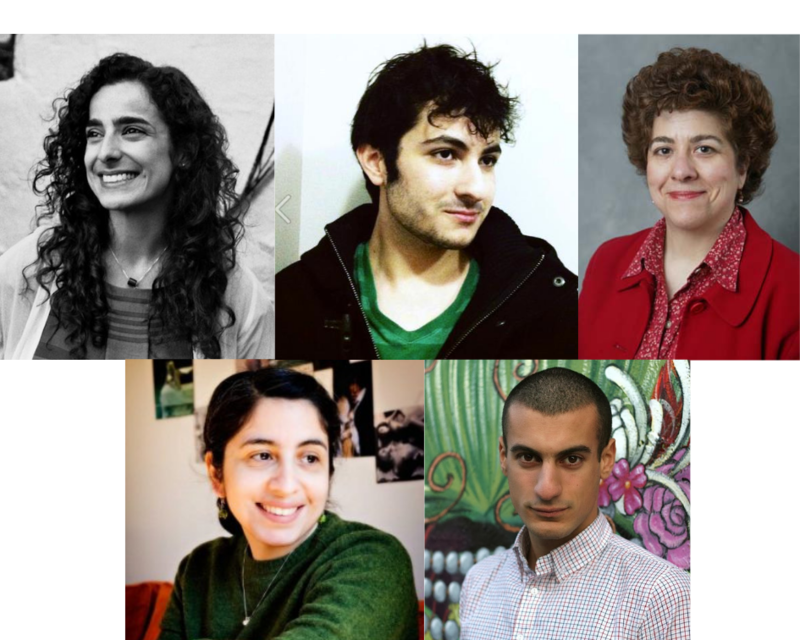 She is also a former intern for The Margins.